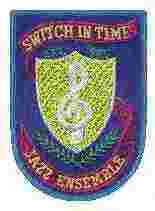 Switch In Time prides itself in having the largest jazz library in the area. 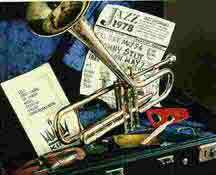 You can find jazz music from every prolific composer in the jazz idiom. Some other charts are from composers that are not as well known, but still are worthy of being played by the jazz masters. If you are looking for a specific chart try checking the song library database at the bottom of the page. These are just a few great charts Switch in Time has in the library: In the library organized by title. The letter "V" designated the song as a vocal. We do have different arrangements of songs by the same title in the library. Some are vocals others are by different arrangers. Take a look at our complete song library that contains over 700 charts.